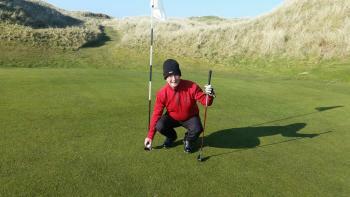 Noel Reilly recorded his first Ace yesterday (April 7th) at the Hackett second hole. This year's Captain James who was playing alongside Noel saw the ball bounce once,roll and disappear into the cup. This follows on from Ollie Munnelly Jnr's ace at the same hole in February. 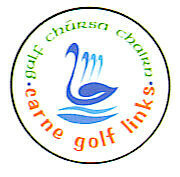 This was the 39th ace at Carne by a member of Belmullet Golf Club in competition since Carne opened, the eleventh at the second hole. For a great photograph of the occasion (taken by Captain James) see the Photo Gallery and double click on it.